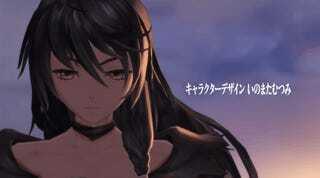 Certainly our first look at sole female protagonist Velvet’s hair in action. We get several shots of Velvet in Bandai Namco’s brief teaser for the PlayStation 3 and 4 game, along with some gorgeous environments and ship sailing the shiny seas. Having played every North American Tales of release thus far, I keep waiting for the guy to show up. It’s not that I don’t feel a lone female character and whatever friends she picks up couldn’t carry a Tales game—it’s just there’s pretty much always been two. I’ll get over it I’m sure. In the meantime, those environments. I need so much more Tales in my life.